Toronto, ON, June 5, 2010 – Scotiabank and Scotia Capital have signed on as the presenting sponsors of the Ride for Karen (www.rideforkaren.com), a cycling event that raises money for children with cancer. This three year agreement will help the Ride for Karen to further its fundraising goals by ensuring one hundred per cent of the money raised from the annual events goes directly to charity. In 2010, funds raised will be directed to Camp Oochigeas, Camp Quality and Camp Trillium to send hundreds of children with cancer to camp and provide the required support and treatments during their stay. To date, the Ride for Karen has raised $1.2 million. 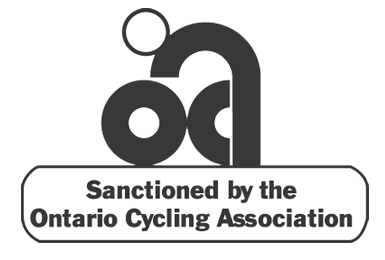 The 9th event which will take place September 12, 2010, will bring together cyclists from across Ontario; from pre-schoolers taking part in the Kids’ Fun Ride, to cyclists completing a 100 mile ‘century ride’ (160km). Scotiabank, a long-time sponsor of the Ride for Karen, provides support and sponsorship for the operation of the event while also helping to create more awareness, increase the number of participants and raise additional funds. The Ride for Karen was started by Karen’s sons, Kirk and Kris, shortly after her death from breast cancer in July 2002. Since then, the Ride for Karen has grown into one of Ontario’s premiere cycling events. The 2010 Ride for Karen will feature four courses, a 25 km course for intermediate cyclists, a 100 km course for recreational cyclists, a 160 km (100 mile ‘century’) route for advanced riders and the Kids’ Fun Ride for kids 2 – 12 years of age. Started in 2002, Ride for Karen (www.rideforkaren.com) is a yearly cycling event that is held as a tribute to the life and legacy of Karen Tobias and to raise money for charities that help people living with cancer, and those who care for them. In the last eight years, Ride for Karen has raised $1.2 million dollars which has been used to help build and furnish new cancer care facilities, provide much needed resources for cancer support centres and send kids with cancer to camp.